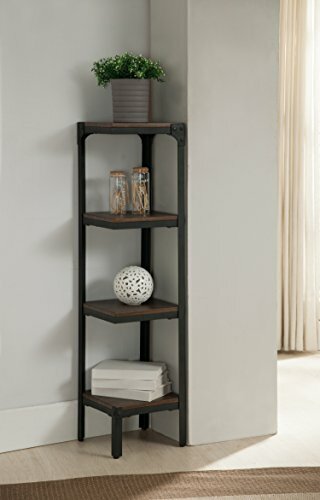 Kings Brand Furniture 4 Tier Antique Finish Corner Bookshelf Bookcase. Material: Black metal frame with walnut finish wood. Dimensions: 13"W x 13"D x 48"H.
Dimensions: 13"W x 13"D x 48"H . Simple assembly required.